Why cheeks? I only concern of nasolabial folds and jawline. Cheeks are the basement of the face, holding up tissues from drooping down. When we were young, our skin and fat pads (sometimes called “cheek apples”) are nice and high, providing support to skin under eyes and preventing prolapse. As time passes, these “apples” dropping from under eyes to nasolabials, then pulling down corners of the mouth and hanging over jawline. 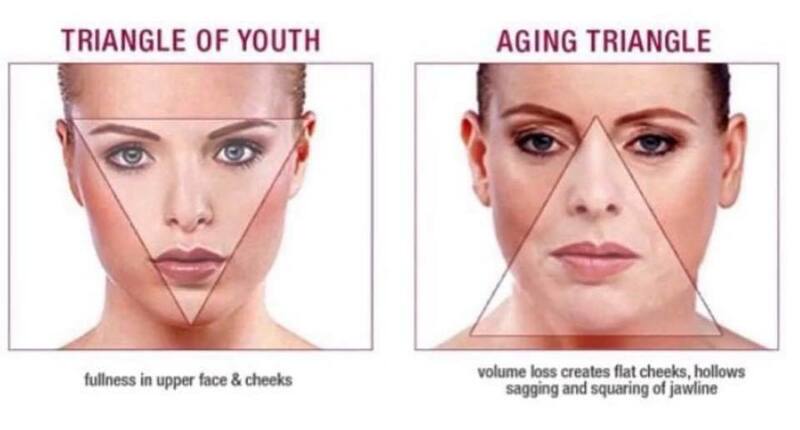 The “triangle of youth” is being reversed with age with more tissues in lower face and less on cheeks. At our Melbourne cosmetic center, doctors often treat cheeks and midface zones. If we want to fix a face drooping problem, we need to approach the cause of it. 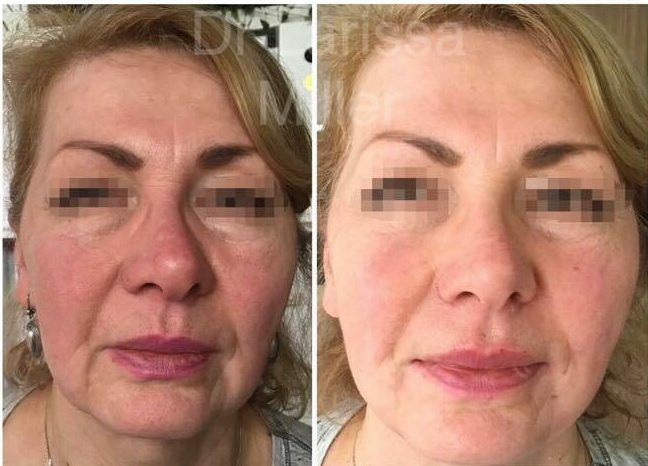 Instead of putting more filler into lower face ( nasolabial folds ), where it’s already too much skin dropped, your cosmetic doctor will put filler in cheeks, which elevates and visually restores youthful proportions. Melbourne women prefer natural look and that’s exact philosophy of VISTA Clinic Australia. It’s like building a house- you start with a basement, which is longest and hardest work, but it needs to be done. Same with aging face – we start with lifting points on cheeks and restoration of yourthful face shape. Cosmetic face rejuvenation is the same. You may be surprised, but dermal fillers are also used in intimate areas for cosmetics, mainly for vaginal and G spot augmentation. Our experienced female doctor with a special training in women’s health can explain you all options for genital treatments. As a general estimation, more advanced age – more filler required for visible improvement. Please, keep in mind that we always making sure you look natural and not visible if job is done – more fresh look only. VISTA Clinic Australia approach is to start with minimal amount of filler, let it settle, then you can always top up, if you want. You can book consult with our experienced cosmetic doctor in Melbourne Bentleigh, Malvern, Brighton, Elwood, St Kilda, Moorabin, Caufield areas. 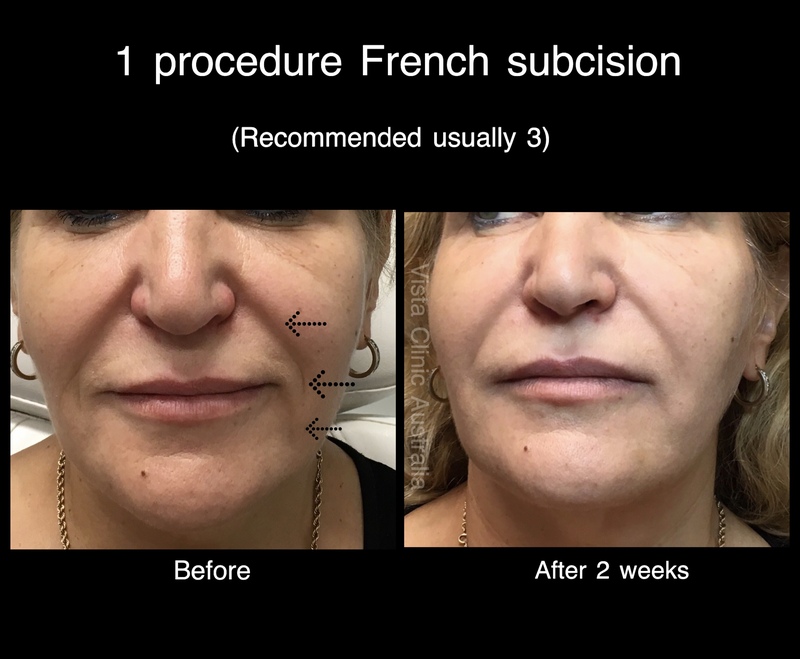 Filler lasts long (8 months – 1.5 years), therefore majority of our patients find it more natural result and easier fro budget to return every months or few months and add on more filler rather than do everything at once. Melbourne cosmetic clinics offer different longevity of fillers because in Australia we can’t advertise brand names of prescription only by doctor medication, such as dermal fillers. 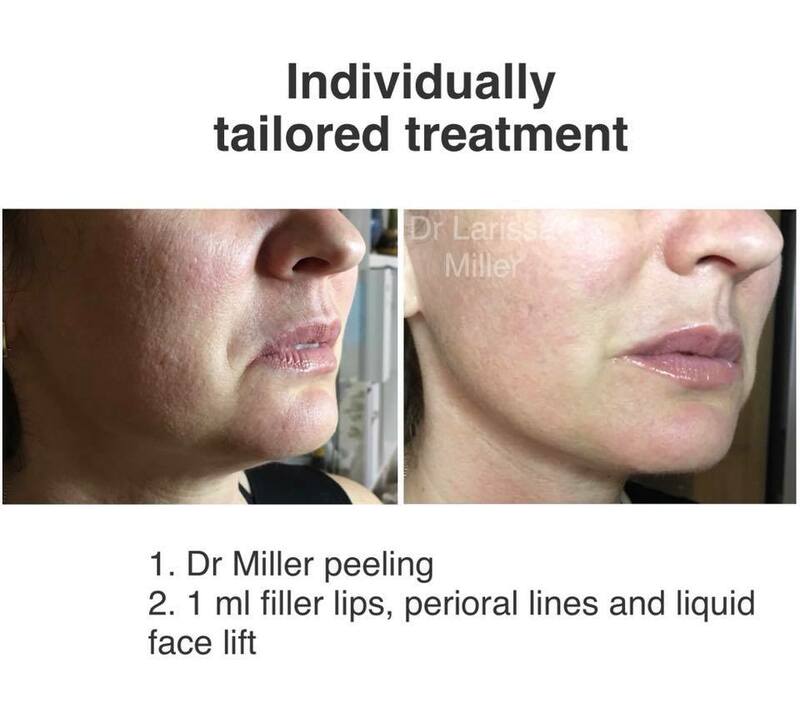 There are different types of filler – some are very mild, soft and last only few weeks, most of them last 8-12 months, and some fillers last up to 3 years. You can discuss most suitable for you dermal filler with your cosmetic doctor in Melbourne cosmetic clinic. Hyaluronic acid fillers which are soft are usually used more superficially, under eyes, to fill in wrinkles. They are quite natural and easily moldable in appearance, provide good hydration of the skin, but they last not too long. 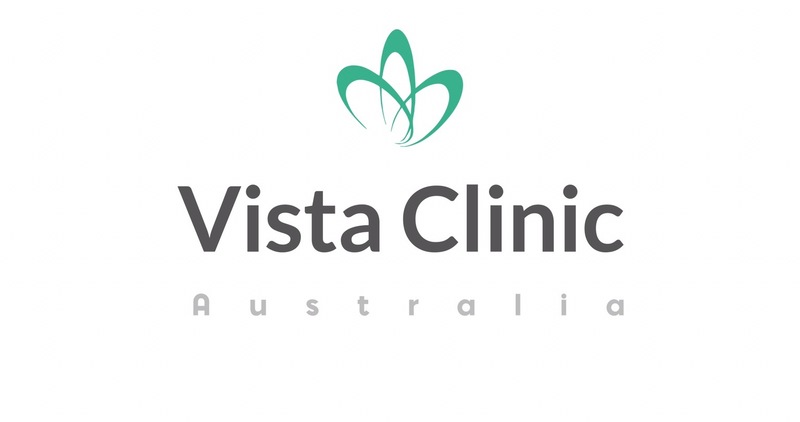 Appointments are available online or via phone, but VISTA Clinic Australia usually advise to make next appointment after you have seen your cosmetic doctor, so, you would have any time of the week and day you want. On the other hand, firm, long lasting fillers are good for deeper strictures of the aging face. 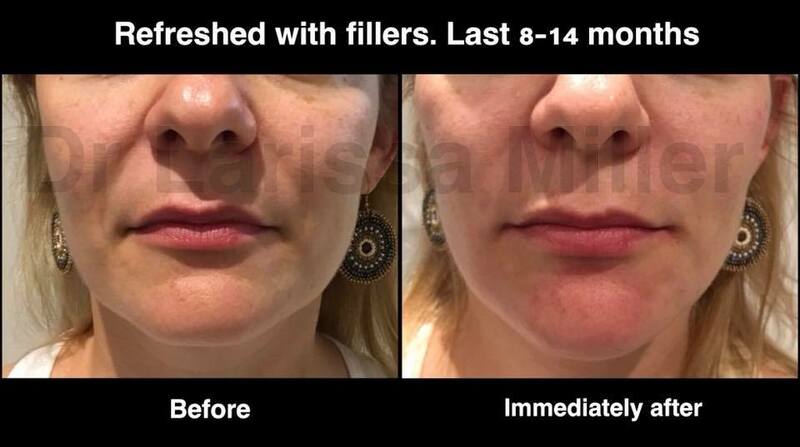 They are popular at our Melbourne cosmetic clinic with patients specifically asking for volume fillers. Such fillers replace bones, which we loose with age. Long lasting dermal filler provide s very good lifting capacity, but would be too lumpy or protruding if placed too superficially or in highly mobile area like lips augmentation and around mouth area. 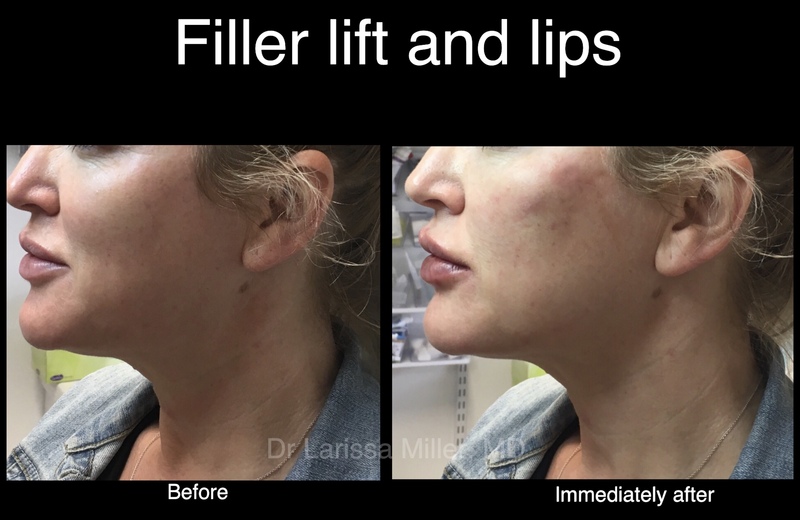 Volume fillers usually prescribed by your Melbourne cosmetic doctor for cheeks, chin, jaw line, temples augmentation, but it can be also used in combination with soft dermal fillers in different areas. Dermal fillers with high G prime (volume, firm fillers) provide structure, and soft fillers contour thinning lips, lift eyebrows, tear troughs and other face indications. 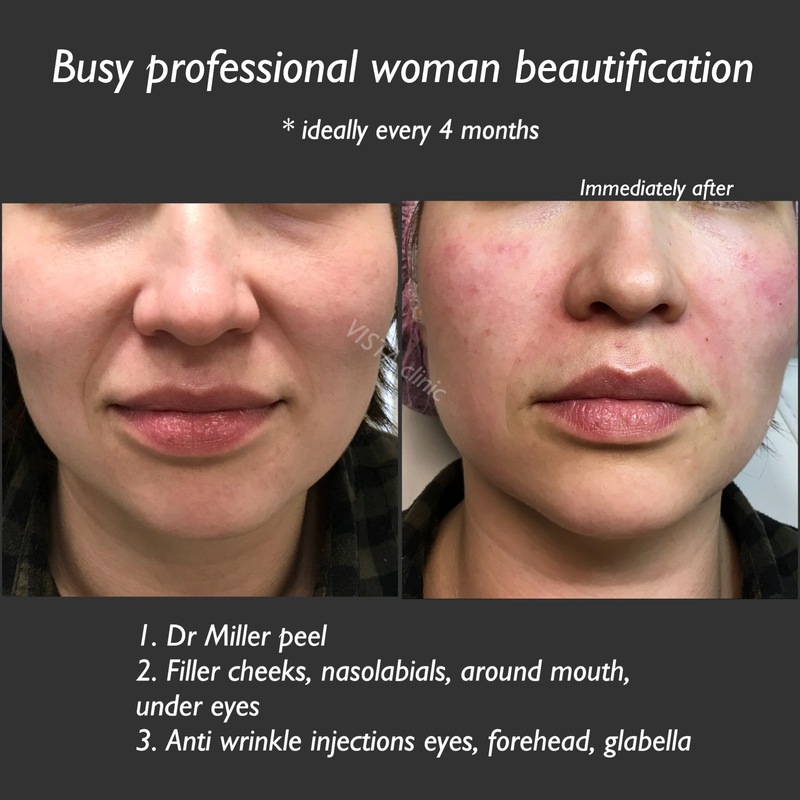 Surely our Melbourne patients will be pleased to learn that the additional benefit of cheeks cosmetic injections (besides non surgical face lift) is that cheek fillers make women’s face to appear less tired, happier, fresher. After cosmetic injections of filler, the effect is similar to when you smile, and of course to improve wrinkles. How many ml of filler needed? 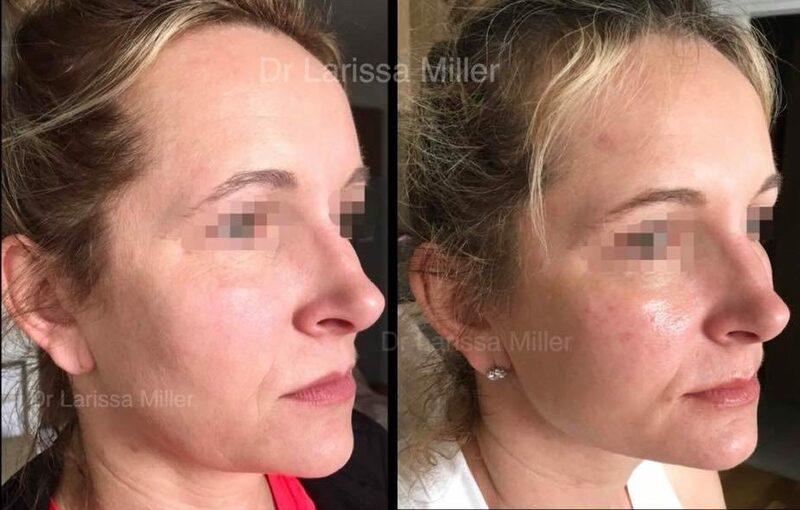 Filler is a medical sculpturing material in hands of experienced medical doctor, therefore amount is determined by age and degree of prolapse and/of deficit, depletion. Usually people who maintain their health and cosmetic grooming regularly and well, need less. 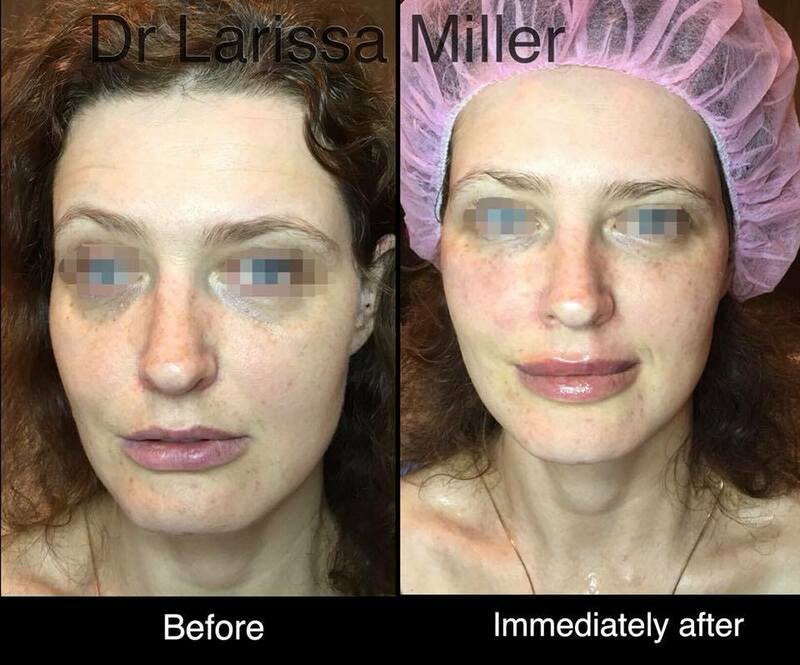 *your cosmetic doctor in Melbourne clinic will discuss with you the best treatment and filler for you. Usually filler is well tolerated without need in pain relief. Melbourne cosmetic doctors use a strong topical numbing cream. Dermal filler contains anaesthetic also. VISTA Clinic Australia usually advises to arrive 15-30 min earlier your appointment to allow enough time for anesthetic to work. Starts from $250 for 0.5 ml. 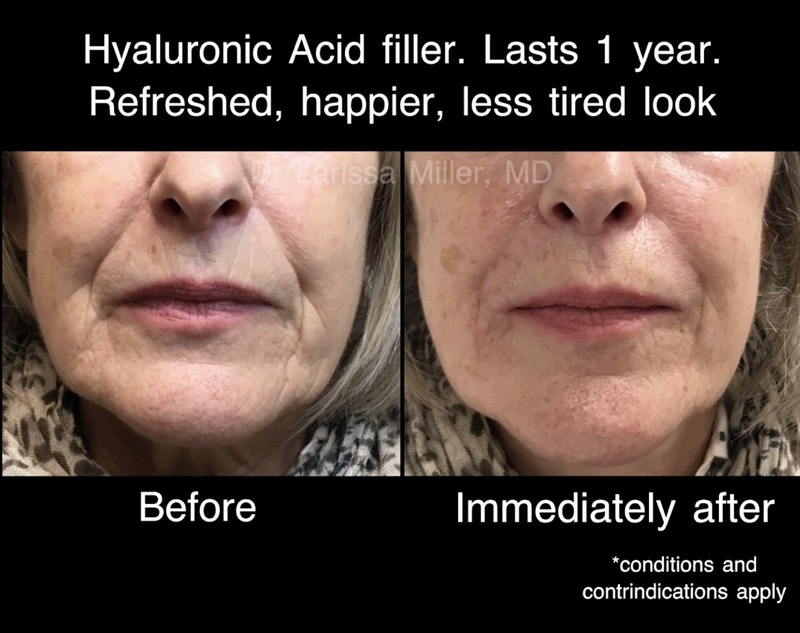 $449/ml of hyaluronic acid dermal filler, which lasts 9 month- 1.3 years. If need more lift and volume, 1 ml costs $559, but it also lasts longer. Under eye area (tear trough) is commonly needed with cheek augmentation. It is a high skill area, performed by minority of practitioners, therefore it is more expensive. Total estimation, most patients pay $250 – $1100 all together. More information you can find at our cost page.